Get out your cufflinks and order the boutonnière: the new Waterford line is arriving any time now. It’s something elegant, European, and a bit edgy, if still firmly based in the aesthetic of Peterson’s house style. It’s high-end, as discretely indicated by the aluminum P embedded in the Cumberland acrylic stems. The high-grade bowls, attention to stem-work detail, and striking chestnut contrast stain all tell us we’re out for an evening of class and culture. 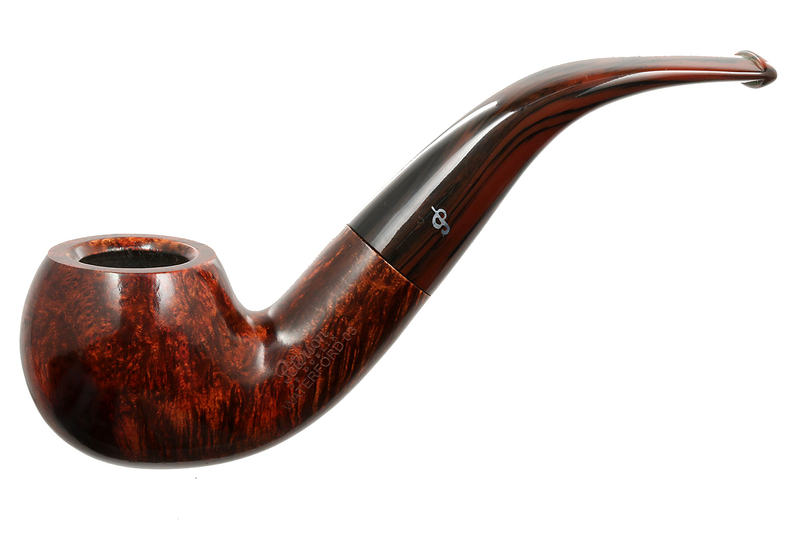 Although the uninformed might not think so (from comments overheard at pipe shows and read on various forums), Peterson has always been a presence in the high-end market. 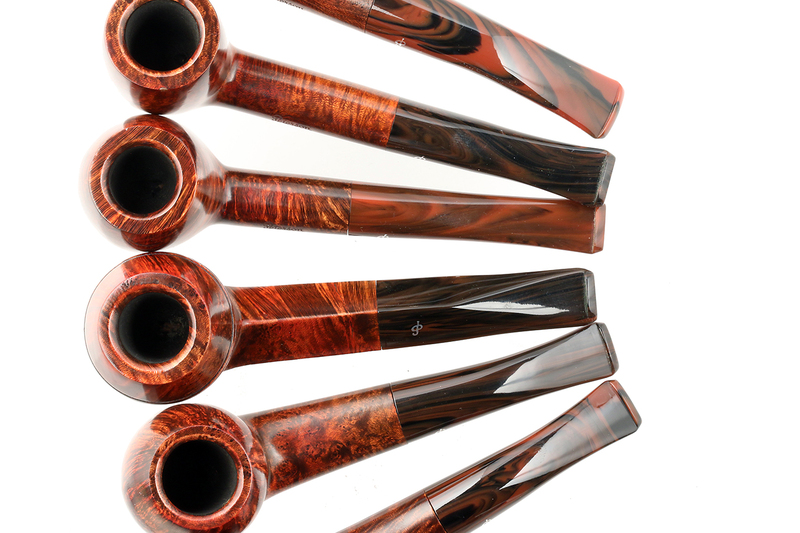 In The Peterson Pipe, we devote considerable space to understanding the way the company grades its pipes and how you can tell, apart from price, that what you’re looking at is top-drawer and French cuffs. The Waterford could well have taken its inspiration from the renowned lead crystal stemware of Ireland’s southeastern seaport city. You can see it in the elongated proportions of every shape chosen from the catalog. In smaller shapes like the 01, 338, 106, and 03 this is particularly noticeable, as the masculine shanks Peterson is renowned for stretch out in stems past 5 ½ to sometimes 6 inches. Part of the effect is also achieved by a new generation of slimmer, wider acrylic mouthpieces that narrow to 4.75 – 4.85 mm. The long-legged look is further enhanced from choosing not to mount the line in sterling. The actual lengthening of the Waterford mouthpiece in most cases may only be .20mm, but lacking the visual “break” of the sterling band, the pipes uniformly look at least 13.00 mm (1/2 an inch) longer than they really are. 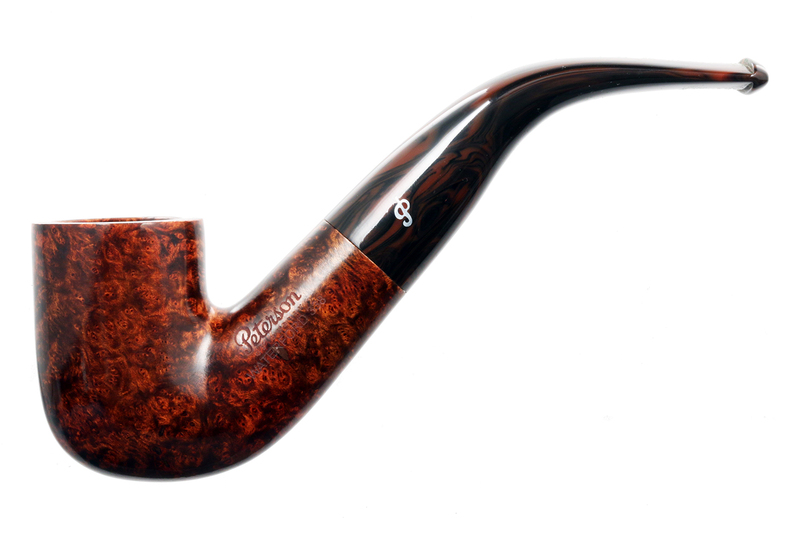 Unmounted pipes are not, of course, something new for Peterson, who have issued top-of-the-line unmounted pipes since these first became fashionable in the late 1920s and early 30s. But the look hasn’t been seen much since the company returned to its tradition of mounted pipes, a process that began in the early 1990s and has come to dominate the catalog in the past 20 years. In the bent shapes – the XL90, X220, and 05 – the lengthened effect is achieved by a severe saddle stem that was very popular back in the 1980s in Danish factory lines like the Bari. For those who must have a “clincher,” the wide and thin combination should prove ideal. The strongly masculine look of the line is reinforced by the decision to include several shapes from the XL end of the catalog: the XL13, XL22, XL25, and 502. This last shape deserves special mention. 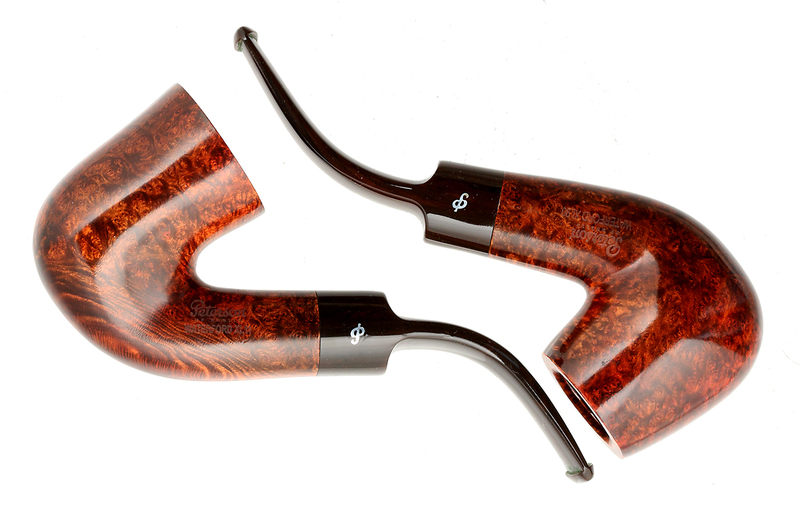 Essentially an XL version of the perennial 87, the 502 hasn’t been seen in the catalog since its original issue back in the early 1980s (see https://petersonpipenotes.wordpress.com/2016/10/24/the-peterson-500-shapes-and-new-old-stock/ for more information). Another interesting feature is the decision to incorporate strong variations in the cumberland acrylic stock. I wanted to show you this, because most online retailers probably won’t give an overhead shot of the pipes, and this is a crucial feature of the line. If you can get past my finger-print smudges, you can see that there appears to be two different rod stocks in use, one light with dark swirls and one dark with light. On some of the pipes I looked at, the rod is a very deep chocolate requiring bright light to discern the cumberland striations. Whether we’ll see very many of these is anyone’s guess. The 2016 Dublin & London line, an even higher grade, seems very scarce, but maybe the Waterford will be more readily available. 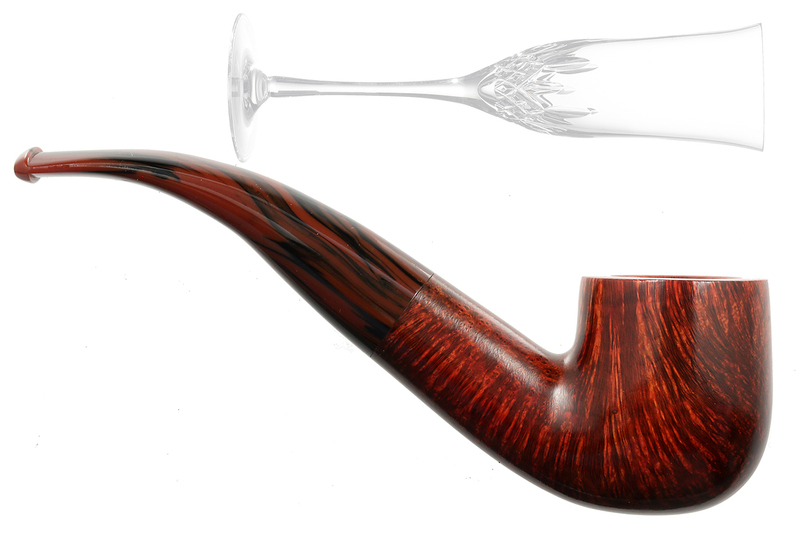 For now, if you’re looking to be a bit counter-cultural here in the States, I can’t think of a better way than to add some class to your Peterson rotation with a Waterford. Maybe it will inspire you to wear a tie to work tomorrow and recall the glory days of men’s fashion. I’m looking forward to their availability here in the States. P.S. – Where can I purchase the cufflinks? The cufflinks appeared in 2014, I believe. I’ve never actually seen them for sale anywhere, although they are on Peterson’s website. I got my set through Yiorgos at PipeDivan. Email him & I imagine he can set you up. My wife just told me (Queen Shopping Bee or QSB) that you can get the cufflinks through Peterson now. Amazing. 30 Euros + shipping. Once again, great post Mark. It’s good to read that there are variations in the stem rods to appeal to a wide audience (someone at Sallynoggin put a lot of thought into this!).. I’m not sure I’m a fan of the lighter stems, so reading this is helpful and reinforces the point that you should always look at the exact pipe you will be receiving, especially if purchasing online. I can’t wait to see these in person, hopefully soon! Yes, it would be nice to know more about the creative process at Peterson. They’re always so polite, but I think they like to preserve a little mystery at the same time. 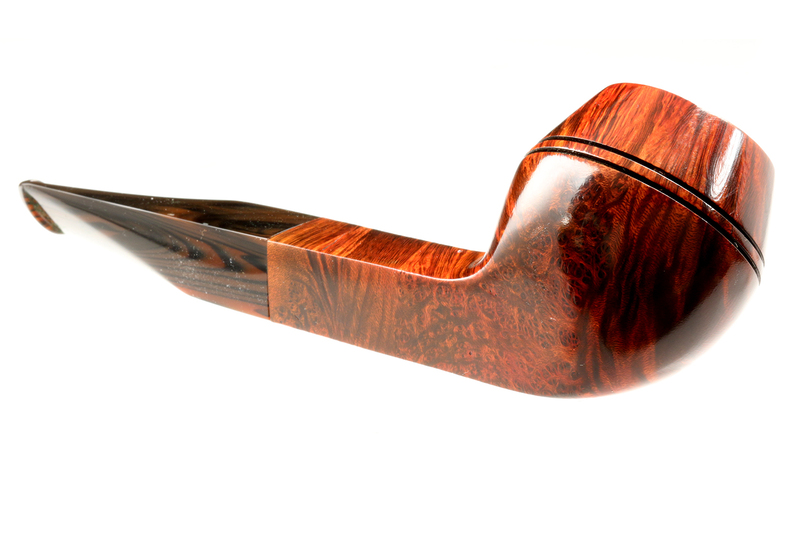 Wow, that is some fabulous briar! Particularly the pipe at the top of the blog with the waterglass. Is that an XL90? Hey Al! The top pipe is an 01. The XL90 is about half-way down in the double-shot with the 05 calabash on the left. 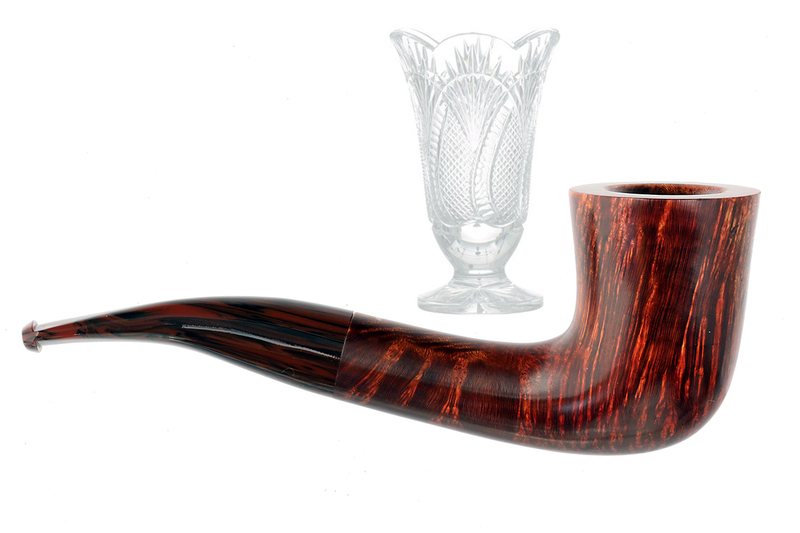 Yeah, I’m pretty impressed by the briar in the Waterfords I’ve handled. 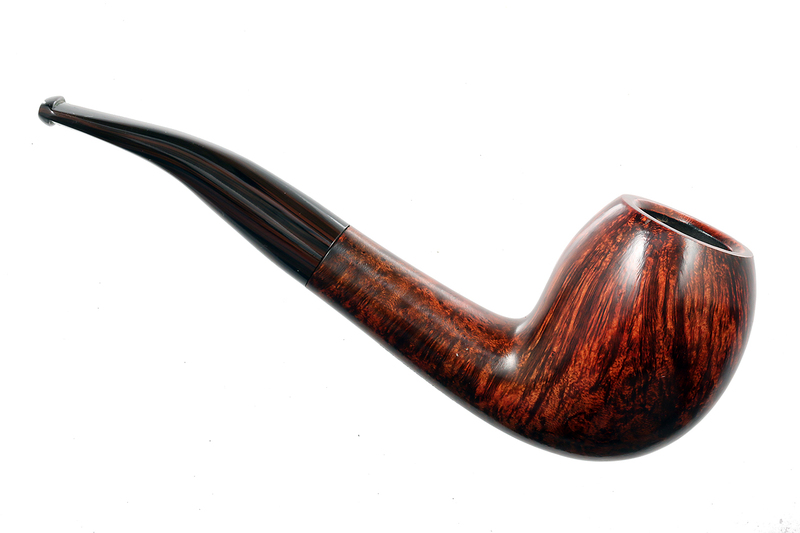 i saw a recent Dublin & London either on ebay or Smoking Pipes. Thank you Mark! 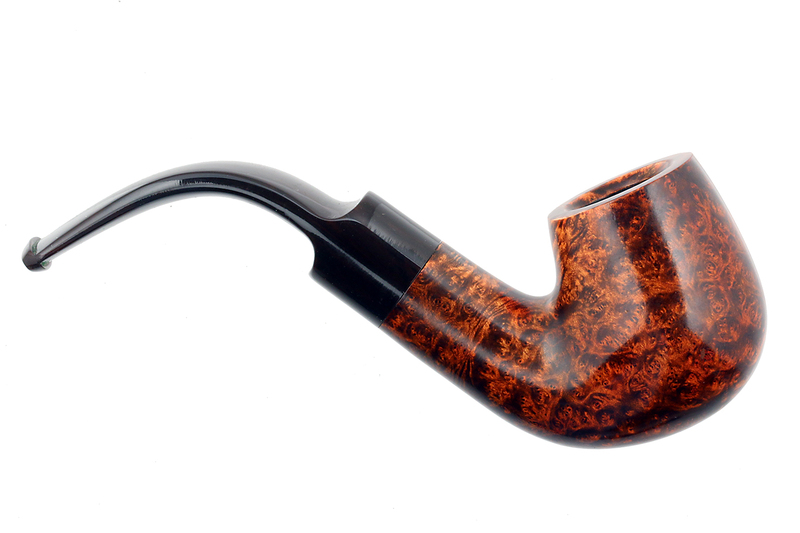 What a beautiful line – and surely very good briar! I can’t wait to get and smoke one! And, by any chance did I note a 493 (straight squat bulldog) in that group shot above? Hopefully will see you in St. Charles? Pretty cool, right? No, sorry, “Mr. 493,” I wish it were. But maybe we can get the folks at Peterson noticing we need one. After all, they did the 1906 Jap this year, and we’ve been saying we wanted that for about . . . 5 years. Quite an impressive line of pipes. Was lucky to snag a Donegal 493 off eBay years ago and even luckier to snag a Dublin and London John Bull, my only one, from a fellow I knew from a pipe forum.years ago as well. You are Peterson-blessed, friend, with two great vintage shapes. I can’t think of anything from the catalog much classier than a D&L John Bull!